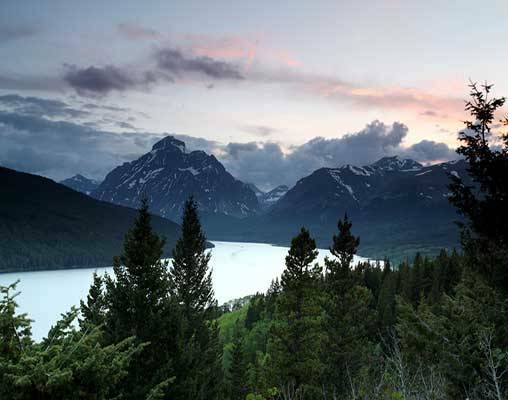 Your 7-day round-trip itinerary from Seattle includes travel aboard Amtrak's scenic Empire Builder, accommodations in historic lodges and visits to breathtaking natural attractions including the famed Going-to-the-Sun Road on board the Red Jammer buses. For departure cities other than Seattle, please select the Seattle location and a rail specialist will contact you within 48 hours with a package customized with a departure from your most convenient Amtrak station. 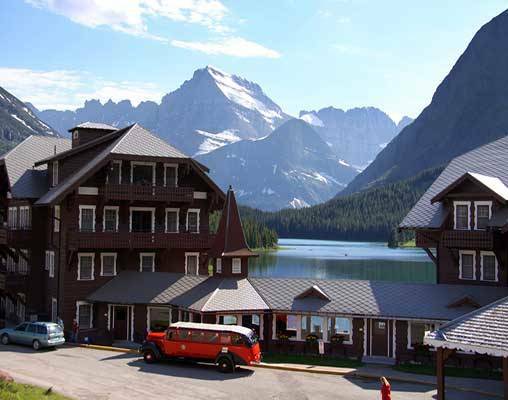 Today you arrive at the Many Glacier Hotel, built in 1915 by the Great Northern Railroad on the shores of Swiftcurrent Lake. 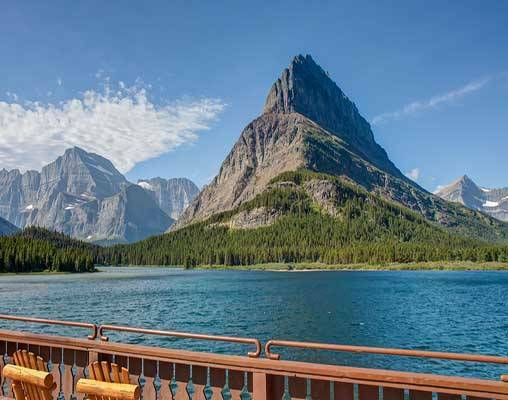 A highlight of your day is sure to be a scenic 1 ½-hour boat ride on Swiftcurrent Lake, where you can marvel at the beauty and grandeur of the Park. Overnight Glacier. 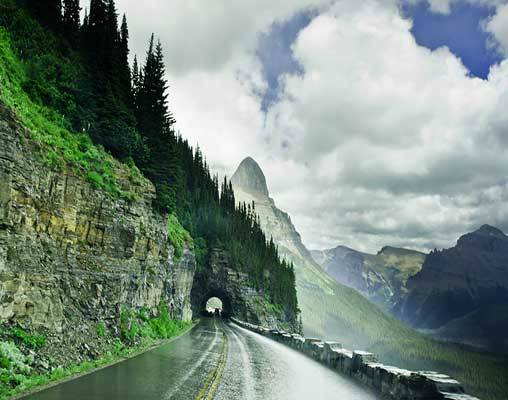 Today's scenic sightseeing takes you along the famous Going-to-the-Sun Road aboard a vintage red open-air bus. Your travels take you to the top of the Continental Divide at Logan Pass, where you'll be awed by the breathtaking views. Overnight Glacier. 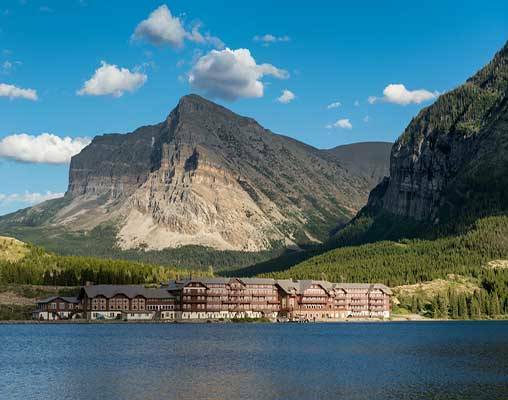 The day is yours to explore Glacier National Park's alpine meadows, sparkling lakes, and rugged mountains. Keep an eye out for some fantastic wildlife including bears and big horn sheep. Overnight Glacier Park Lodge. Day 7 - Arrival in the "Emerald City"
Hotels include the Glacier Park Lodge and Many Glacier Hotel. 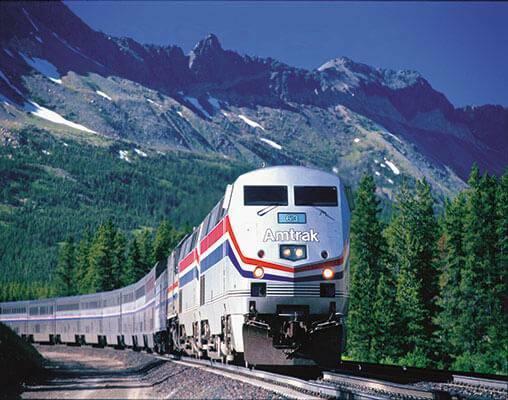 Amtrak accommodations are available in Coach class, Roomette and Bedroom. Coach accommodations include a reclining seat with leg rest. Roomette accommodations include a private cabin that features two comfortable seats beside a picture window during the day, which converts to an upper and lower berth at night. Bedroom accommodations feature a sofa and chair by day and upper and lower berth by night. Bedroom accommodations also include a sink and self-enclosed toilet and shower. 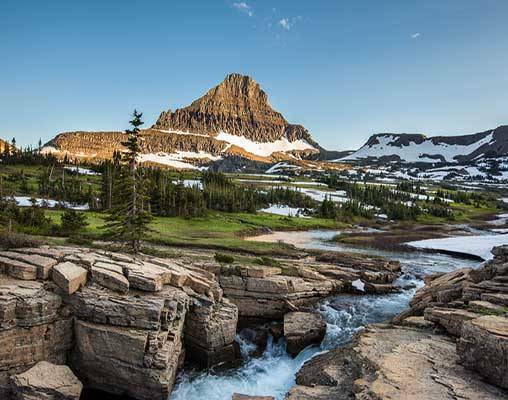 Click here to view testimonials for Glacier National Park & Seattle. Our overall vacation was very good and we enjoyed the excursions provided during our trip. I enjoyed my first train trip. Not sure if I like the overnight, but overall was a good experience. Thank you. Everything went according to plan, it was a delightful trip. Enter your details below if you would like to be notified when 2021 dates and prices are available for Glacier National Park & Seattle. Prices are per person based on double occupancy, tax included. Connecting rail from your city is available upon request. Contact a rail specialist for details. Prices do not include National Parks entrance fee. Prices are are correct at the time of this web page being published; yet, are subject to confirmation at time of booking. Vacations By Rail can supply connecting rail from your closest Amtrak Station. NOTE: Arrival and departure times are subject to change without notice. Please be advised that passengers traveling on Empire Builder trains may encounter delays of approximately three to six hours due to heavy congestion, speed restrictions and other operating conditions.